The Cube South Changwattana 15/1 is a condo project developed by Cube Real Property Co.,Ltd, The Cube South Changwattana 15/1 construction will be completed in 2021. The Cube South Changwattana 15/1 has 8 floors and contains 391 total units, Units range from 1 bedroom to 2 bedroom. 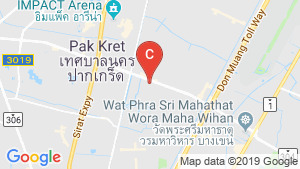 The Cube South Changwattana 15/1 at Thung Song Hong, Lak Si has the following facilities: cctv, fitness, garden, library, parking, playground, security and swimming pool. Cube Real Property Co.,Ltd has also developed projects such as The Cube Urban Sathorn - Chan.